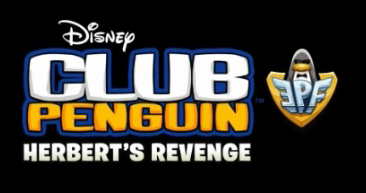 Club Penguin Cheats by Mimo777 Club Penguin Cheats by Mimo777: Club Penguin Herbert's Revenge Game Trailer! IS THIS MISSION JUST COMING OUT FOR A DS OR FOR COMPUTER PENGUINS 2???? possibly? all that i know is that there is one week left in April, and still NO mission like cp said they would have! This is so awesome! I can't wait! And get this, May 25 is actually my birthday! LOL! Man I can't wait! It looks like it will have aqua grabber. Again I say, I can't wait! I will be fourteen on May 25. The trailer is so cool. Waddle On! Can't wait! That was actually an ad for the DS game thats coming out. There will be a mission in the game but that movie was for the DS. Seems its coming just for the DS. No it will be coming out for the DS definitely and I think the Nintendo Wii. i'm so getting this game when it comes out ^_^ i'm acually writing this comment on my nintendo dsi right now. :D as for the new mission... i think it will have something to do with this game since Dot is in the mission.. Omg!! Mimo! You remeber Dot from the club penguin ds?? well.. in the preview it showed us rescuing dot!! IS THE MISSION JUST COMING OUT FOR A DS OR COMPUTER PENGUINS 2???? Please don't use caps. Youy're hurting our ears! I think the game is for the DS only. The new mission is coming to club penguin on the computer. the club penguin team has not said anything about mission 11 being in the new ds game. 14? What an accomplishment! happy early bday! Waddle on 2 u too! cool! i cant wait 'till it comes out! :D im totally gonna get it! There is a game for DS and a mission for CP! Awesome! My friend's Bday is right after that!! @ Is this Mission just coming out for Ds or for computer penguins. Unforchantly its for the DS. Its a video game! If you have and DS be sure to get it! Its only on the DS. But a new mission on the real online club penguin should be around soon. Just to clear up again!The game is for Nintendo DS! But you can access something online too! Bye Bumper! See ya around! I looked it up on Gamespot and it said it was only for the DS. Not the wii. Yes. And please don't put your name when you are not mod-ing. Thats on my bday! I might buy it with the money I get ! Come to my b-day party today on northen lights at 12:15pm PST on the iceburg i will be 1,300 days old! YEAH!! THATS ON MY BIRTHDAY!!!!! This is so awesome! I can't wait! And get this, May 25 is actually my birthday! LOL! Man I can't wait! It looks like it will have aqua grabber. Again I say, I can't wait! I will be fourteen on May 25. The trailer is so cool. Waddle On! Can't wait! ___________________________________14 in may??? Hey mimo! my b-day is may 25th! i might ask for it for my b-day! cool! So cool! Im buying it! i bought cp EPF for the Ds and it rocked! I cant wait to see whats waiting for us in this new game! Yeah this is cool. :D BTW, did anyone notice in the trailer the crab costume from the Series 8 treasure book will be in the game? I also noticed that older missions from the online game appear to be in it. But still can't wait! Hey mimo, I just noticed this but, in the recycling centre when you throw a snowball it is a recyclable item and if you throw it at the maching it adds more trash so it runs longer!!!!!!!! Awesome! I can't wait to put it onto my DS! WOW! Sounds like many of mimos fans have a bday in may! Neither can I!! It will be awesome! It's my birthday on Tuesday!!! I can't WAIT!!! Yh i noticed tht 2. I noticed tht too.Good eye. It's soooo annoying.Hurry Up CP! Hey.Safa.How do u get your writing slanted?? possibly?all that i know is that there is one week left in April, and still NO mission like cp said they would have! I know. It's such a disappointment. Mission 8 was one year ago! I can't believe it. looks like they might also include some recent online missions on the game! Just like I expected! hmm i heard mimo that u got an i pad! :O is it good? just 2 clear up y i am leaving, its cuz this modding and commenting is too time comsuming! no hard feelings! i will still read the site but i wont comment! there is a new door in the hidden lake. how do i get the key? may 25... thats 5 days after my bday! i hope i get it for my bday!!!!!!!!!!!!! HERBERT IS HAVING A SPEICAL SHOW? Omg May 25th is my B-day!! ...Eh? Mimo? HELLO? Are you still there? Haven't posted in a few days... Nothing new on Club Penguin lately though to talk about. You are still there... RIGHT? Get the hard hat and dig to find the amethyst. Thats the key. Dig only in the cave. Well, first you must be a member. Play puffle rescue for the black puffle and wait for the squid. Mimo posted about this. Mabye they wanted to have it a lot simmilar to the real online version! It must be HARD to think of missions for penguins!